Non Fault Accident Compensation Claims Guide – How Do I Make A Non Fault Injury Claim? – Who Can Claim – How Much Can I Claim? Did you know that if you have been involved in a road traffic accident that was not your fault then you may be able to make a non fault accident compensation claim? You could be eligible to claim damages for any physical and emotional injury you have suffered as well as any out of pocket expenses that you have incurred. As long as you can prove that there was third party negligence then you have a good chance of winning your claim. Advice.co.uk offer to connect you with road traffic accident solicitors who are ready and waiting to help you achieve the compensation that you are entitled to. Call us today on 0161 696 9685 for further information. Please read on through our detailed guide to find out more about the road traffic accident claims process and making a non-fault accident claim. What Is A Non-Fault Accident Claim? How Much Compensation For A Non-Fault Accident Can I Claim? What Can My Non-Fault Accident Claim Include? Can I Claim If I Was Not Injured? How Will Making A Claim Affect My Insurance? How Long Do You Have To Claim Compensation? Why Make Your Non-Fault Claim With Our Team? Following a car accident that was not your fault you may have a number of questions about what you should do next. Our detailed guide aims to answer your questions and advise you what course of action you should take next. We will explain what a non fault accident is and what you should do if you have been involved in a non fault accident. You may be wondering what a non fault accident claim will do to your insurance premiums and no claims bonus, we will explain. You may have suffered personal injury as well as financial loss and may be looking for the best car accident claims company to represent you in a personal injury claim. Advice.co.uk are a highly professional company who have many years’ experience in dealing with this type of personal injury claim. Please read on and then contact us to begin claiming the compensation you deserve. You may have been advised that you could be eligible to make a non fault accident claim, but may be wondering what is a non fault accident claim? In a non-fault accident, the victim is free of any blame. It is irrefutably agreed that they played no part whatsoever in causing the accident to happen, and a third party is to be blamed for their negligence instead. Because the victim is entirely innocent in a non-fault accident, they will be eligible to make a non fault accident compensation claim against the negligent party. This alternative options to a personal injury compensation calculator gives you a rough idea of the average compensation for car accidents that you may be able to claim in general damages. The amount you may be eligible to receive in special damages will depend entirely on your individual case. For a more accurate estimate, we always recommend that you speak to one of our personal injury solicitors at Advice.co.uk. General damages covers any physical injury that you have suffered as a result of your non fault accident. The exact amount you may expect to receive after you have had a non fault accident will depend on the details of your case but on the whole, the more serious the accident, the more you can expect to receive. The court will also take into account your recovery time and an injury that causes a long-standing problem will make you eligible for a larger payout than an injury which resolves quickly. Under general damages you may also be able to claim for any psychological hardship you have suffered as a result of the incident. This can include stress, depression and anxiety. Following a traumatic accident you are likely to have suffered some level of worry both about your physical health and potential financial hardship. If you are likely to be affected long-term by your injuries then this can seriously impact upon the quality of your life. Your general damages payout will take this into account. In a non fault car accident injury claim, you will be compensated for any loss of earnings that you have suffered as a direct result of the incident. If your injury is so severe that you are unable to return to the same job, and may have lost out on any chance of career progression, then this will be taken into account when awarding your special damages. If you have been liable to meet the cost of any medical expenses that are directly related to the incident then you can claim these back as long as you have documentation or receipts. This can include cost of medication and rehabilitation. If you have incurred any out of pocket expenses for travel costs, for example transport to and from hospital appointments then these can also be claimed back as long as you have retained the correct documentation. If your injuries were severe and debilitating then you may have been unable to carry out daily tasks around the home. If you required help with your daily tasks then the individual who provided the care may be able to make a claim for care costs. Non fault car accidents make up the majority of non fault accident compensation claims. In 2017, over half of all injured parties in road traffic accidents were car passengers and drivers. Non fault car accidents could be caused by another driver cutting in front of you on a roundabout, reversing into your car or crashing into you whilst changing lanes. In these scenarios, you can make a claim whether you are the driver or passenger of a vehicle. As long as you can prove that the other driver was at fault and you were blameless, you can claim compensation for a non fault accident. As a passenger, this is much easier as there is barely any chance that you could be held responsible for the incident. Non-fault collisions are caused when two vehicles collide with each other. In order to make a claim, you will need to prove that the driver of the other vehicle was at fault. Cyclists and motorcyclists are more vulnerable road users as they are less well protected than car passengers. As a vulnerable road user, you may find that your claim is easier to prove as other motorists have a responsibility to take extra care around cyclists and motorcyclists. A pedestrian involved in a non fault accident can experience severe injuries due to the speed, size and weight of a motor vehicle. As a vulnerable road user, a pedestrian is usually in a strong position to make a non fault accident compensation claim. Although a non fault accident compensation claim is usually made when an individual suffers a personal injury, it is possible to make a claim if you have escaped physically unharmed. This is because physical injury is not the only type of loss that you could suffer as a result of a non fault accident. There may be additional financial losses that you have suffered. This could include damage to your vehicle or failure to complete your journey which has caused you to miss a flight or an occasion of personal significance. Because claims such as these are less common, we strongly suggest that you take non fault accident advice from Advice.co.uk. Our experts will be able to look at the details of your case and decide whether or not you have a good chance of winning compensation. There is a strong chance that following your non-fault accident, your annual premiums will increase. Each individual insurance company will have a slightly different policy on this so to get an accurate answer, it is best to speak to your insurance company directly. On average though, insurance premiums may increase by 30% after a claim. You may also lose your no claims bonus after making a claim, unless you have chosen to protect it at an earlier date. The good news is that your no claims bonus will not be lowered as much following a non fault accident as it would be after an accident that was your fault. Harsher penalties are applied by insurance companies if you make a claim as a result of your own negligence. You may also be wondering ‘do I have to pay excess if it’s not my fault’? The answer again is to speak to your individual insurance company but if your policy states that an excess is payable in the event of a claim then you will still have to pay this excess even if it was a non fault accident. The one piece of irrefutable evidence that you can gather following an non fault accident is a police report. Following an accident, the police should be contacted and after assessing the scene of the accident, they will file a report. You are able to use this report to prove that you were the innocent victim. You may also wish to use information from your insurance company about the state of your vehicle, particularly if it was a non fault accident write off. The company who provided you with a courtesy car will seek to pursue their own compensation relating to vehicle damage and loss of business as a result of having the vehicle taken out of action. You can make a separate non fault accident compensation claim for any personal injury that you suffered as a result of the accident. You can of course also claim for any financial losses that you suffered as a result as well. If you are unsure about your rights and responsibilities following a courtesy car non fault accident then please contact Advice.co.uk and our personal injury solicitors will be able to provide you with the help and advice that you need. If you were injured whilst at work, perhaps driving a company vehicle, then you can still seek compensation from the third-party negligent driver. Your rights to make a personal injury claim are unaffected by the fact that you are at work. The only difference is that your employer also may wish to claim for damage made to their vehicle. 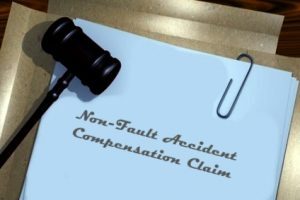 Following a non fault accident, there are a number of steps you can make to increase your chances of winning a later non fault accident compensation claim. Initially, we suggest that you seek the medical attention that you require to maximize your chances of full recovery from your injuries. Being seen at the doctor’s surgery or hospital will also ensure that your injuries are fully documented as these medical records will be needed at a later date to prove the pain and suffering that you have experienced. Be sure to get all the details of any vehicles involved in the accident. This includes their number plates, and the driver’s contact details. If possible, take a photograph of these to ensure that the details you have received are correct. If anybody was witness to the accident then it can be crucial to your case to get the details. Your personal injury solicitor may wish to contact them at a later date to verify exactly what happened at the time of the accident. It may seem unimportant at the time, but taking pictures from every angle of the accident site can be really valuable evidence. Take as many photographs as you can, you may well be glad you did further down the line. Although you have three years to make a personal injury claim, we recommend that you contact Advice.co.uk as soon as possible. It is easier to launch a personal injury claim whilst the details are fresh in your mind and it is easier for your solicitor to gather evidence. The standard personal injury claims time limit is usually 3 years. However, in exceptional circumstances the courts may allow this to be extended. If you feel that you may have a special case then speak to you Advice.co.uk for further information. Beginning a personal injury claim is the easy part. Contact Advice.co.uk and we will handle the case on your behalf. We offer a free no obligation consultation to talk through the details of your case and advise whether or not we think you should go ahead with your compensation claim. We will ask you exactly what happened and find out what evidence you have managed to gather already. Your chosen solicitor may require that you have another medical examination. If you are happy to go ahead and launch your case then they will offer a no win, no fee agreement. No win, no fee agreements are highly beneficial to clients as they do not require any financial outlay at the beginning of the case. We believe that clients should not be held back from launching a case due to financial worries. Therefore, the solicitors we provide don’t ask you to pay a penny until you have successfully won your case and received your payout. If your case is unsuccessful then you will not be charged a fee. Advice.co.uk offer an honest and trustworthy service. We work with highly experienced and professional solicitors who have dealt with many cases of this sort before. We are always available to answer your queries and offer advice which can be invaluable during this uncertain time. We understand that our clients will be suffering both emotionally and physically and may wish to keep stress to a minimum. Therefore, we take the burden of the case, advising our clients when there have been any important developments but otherwise handling the details on their behalf. If your lawyers have agreed to take on your case on a no win, no fee basis then you can feel confident that they think you’ll have an excellent chance of winning your case. These highly trained professionals will do everything they can to get you the compensation you deserve. If you were to be involved in an accident in Great Britain and think you might have reason to make a non fault accident compensation claim then please contact our team of experts at Advice.co.uk. Take advantage of our no win, no fee service by calling 0161 696 9685 today. You can also contact us via our website and we will call you back at a time that is convenient. 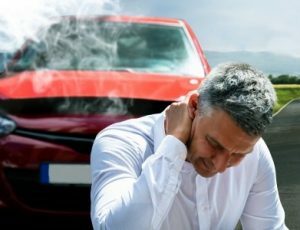 All about Whiplash – An NHS information page on the condition. THINK! – The government’s page on avoidance of road traffic accidents.